As a homeowner, you should never overlook the importance of spare keys, both to yourself and how they might be used by others. It is very easy to do that though, because your spare keys aren’t the ones which you would ordinarily use – they’re just in the background somewhere, waiting to be called upon in an emergency, or in unusual circumstances. And if you don’t have a set of spare keys, all it will take is being locked out of your home one time, to convince you of the need to have a set made immediately. But where should you put your spare keys in order to make use of them when the time comes? You certainly don’t want to put them under the Welcome mat, since countless TV shows and movies have instructed generations of watchers about that hiding place, and truthfully, any object near your front door will be the first place a criminal-minded person would check for a spare set of keys. 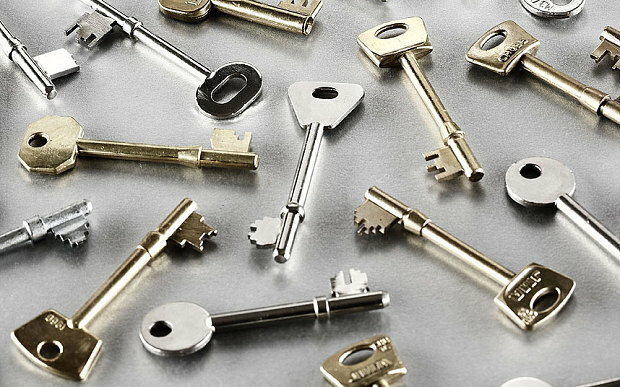 To avoid the risk of burglary or any other unwanted entry, you’ll have to situate your spare keys somewhere that is not obvious to intruders, but which you have easy access to when you need to retrieve them. You could leave keys with a trusted neighbor, but that means they’d have to be home when you need your keys. Better options eliminate the need for any other individuals, because they simply may not be available at the precise moment of your need. You might want to try placing them under a deck outside, in a birdhouse you’ve placed in the yard, or under the doghouse if you happen to have a furry friend. A couple other options might be to place keys inside an outdoor power meter box (carefully! ), or along the siding of your home, in a spot which isn’t easily visible. Any of these hiding places will probably be sufficiently secure from unwanted intruders, yet still easily accessible to you or someone from your household who needs emergency access, and does not have keys. If you happen to be the manager of an apartment building, spare keys can be something of a problem, especially if they have been retained by previous tenants who will thus still have access to your building, and are no longer entitled to. If you are a tenant moving into an apartment, you should make a point of asking the landlord if a prior tenant still has a set of spare keys, because that could easily compromise your own safety. These scenarios point up a common issue about spare keys, regarding the fact that they should always be accounted for and not simply forgotten. If spare keys are not monitored, and turn up missing, that may be time to consult your residential locksmith or commercial locksmith, and discuss an access control solution that keeps your premises, and yourself, secure.